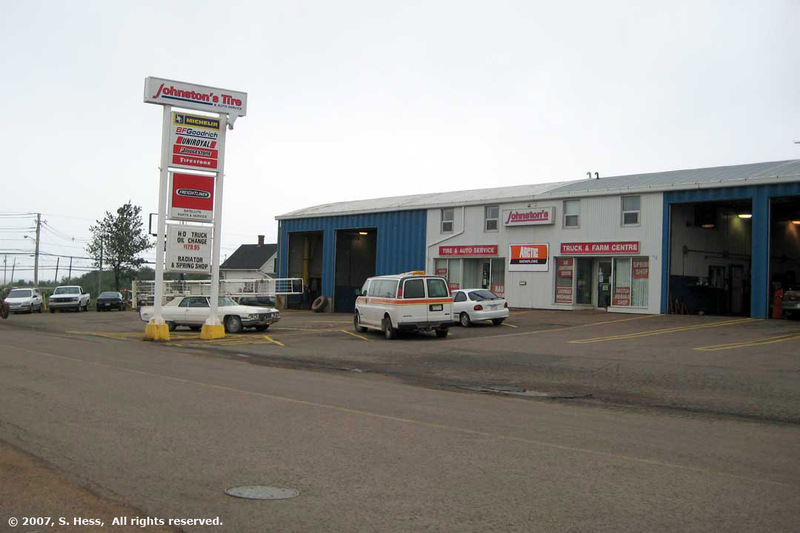 We got up early so that we could be in Summerside when the truck repair facility opened. I drove well below the speed limit and even slower on bumpy patches of road and got to Summerside at 7:45. Fifteen minutes later I drove the trailer into one of the large truck repair bays at Johnston’s Tire. By 9:15 am (Atlantic Time) the broken spring shackle had been replaced and a new spare tire placed on the carrier and we were off for the ride home. 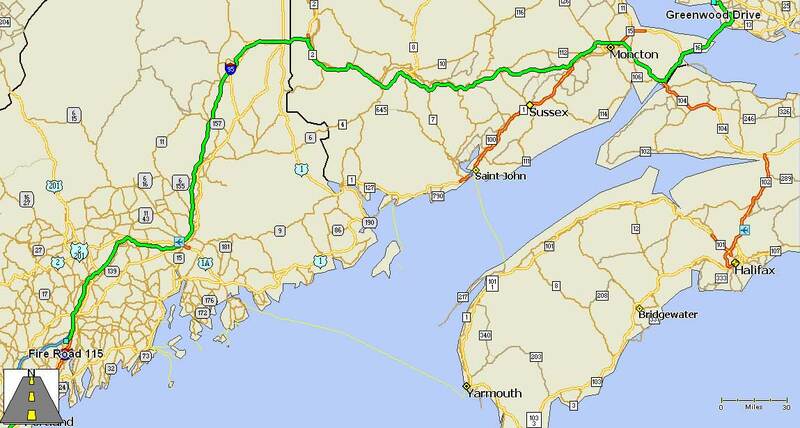 Originally we thought we would head for Susie’s cousin’s home in Brunswick, ME, 500 miles from Summerside. We changed our mind and while I was driving, Susie called a campground in Gardiner, ME and arranged for a nights stay there tonight. She also called the Minuteman Campground in Littleton, MA, and arranged for us to stay on Sunday night. Once in New Brunswick, the roads improved significantly. Not long after we crossed into the province, we were driving on Interstate Highway type of limited access highways almost all the way to Houlton, ME, our border crossing point. The customs crossing is busy because it is at the beginning of I-95. It took us about 30 minutes to make the crossing. As we were driving down I-95 the weather started looking a bit threatening, Susie had spoken to her cousin in Brunswick earlier and he told her that the Weather Service issued severe weather warnings for northern Maine. We encountered some showers and saw some lightening. The heaviest shower came when we were under a gas station awning. The weather caused us no problem and we were in the campground in Gardiner at 4:45pm (Eastern Time).